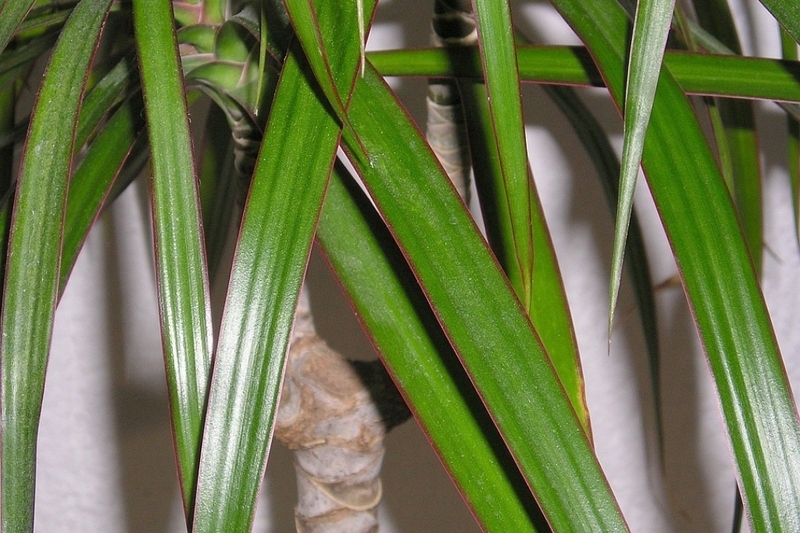 Dracaena marginata (Dracaena marginata): growing, planting, caring. Easy to grow - and loved for its olive green, marginated leaves. Must be kept at temperatures above 16°C. The dragon trees are about forty species of African and Canary trees and shrubs, which bear glazed leaves, lanceolate, arranged spirally mainly at the end of the stems. The many small white flowers are organized in panicles at the ends of the branches. As a desert plant and a lover of hot and dry environments, the dragon tree thrives at a temperature between 18 and 22 ° C and needs light. Be careful: avoid placing it right behind a window facing south, the direct light could burn it : a window facing west is best. Plant it in a mix of loam and potting soil, in a large pot. Your dracaena fears humidity, and its water needs are pretty limited — it stores everything it needs inside its thick leaves! 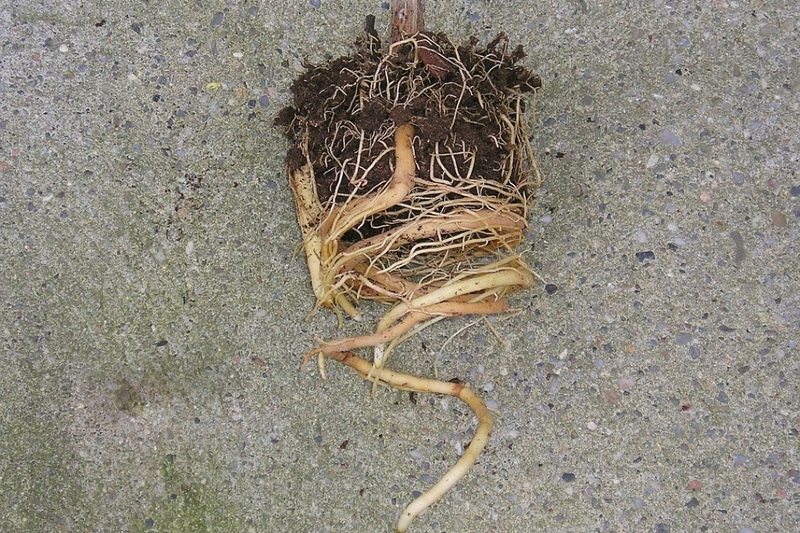 During growth seasons (spring, summer), watering should be regular, about once or twice a week, but controlled, to make sure the roots don't rot. In autumn, gradually reduce watering until winter, when twice-monthly watering will suffice. 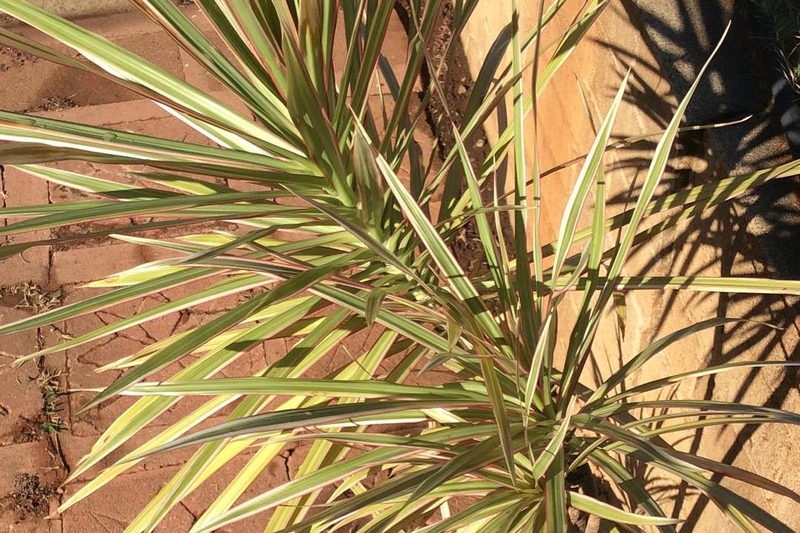 In dry weather, spray your plant with soft water, clean the dust on the leaves: it will be all the more beautiful and you will protect it from red spiders - its main enemy! If you add orchid fertilizer, your lucky bamboo may even bloom! In summer, add liquid fertilizer for green plants every 2 weeks. You can also add slow release fertilizer pellets to the soil mix when planting or repotting. Stop all fertilizer treatments at the end of summer. At the end of winter every year, transplant your plant in a pot slightly larger than the current, with a mixture of garden soil and potting soil. If it is too big for potting, just scratch the top soil and add a layer of potting soil. Starting in autumn, bring in the pots. Have your plant spend winter in a bright frost-free spot:the ideal temperature being 18-24 °C. During winter, keep watering your tree as long as it is still bearing fruit, then you can space out the watering, letting the substrate dry slightly between them. Take out your plant for the summer, starting in May. Find it first a shady spot to acclimate it for few days, then place it gradually in the sun. Keep a close eye on the leaves: if they are deformed it is either a lack of light or an excess of water. Try both: find a brighter location and reduce watering.